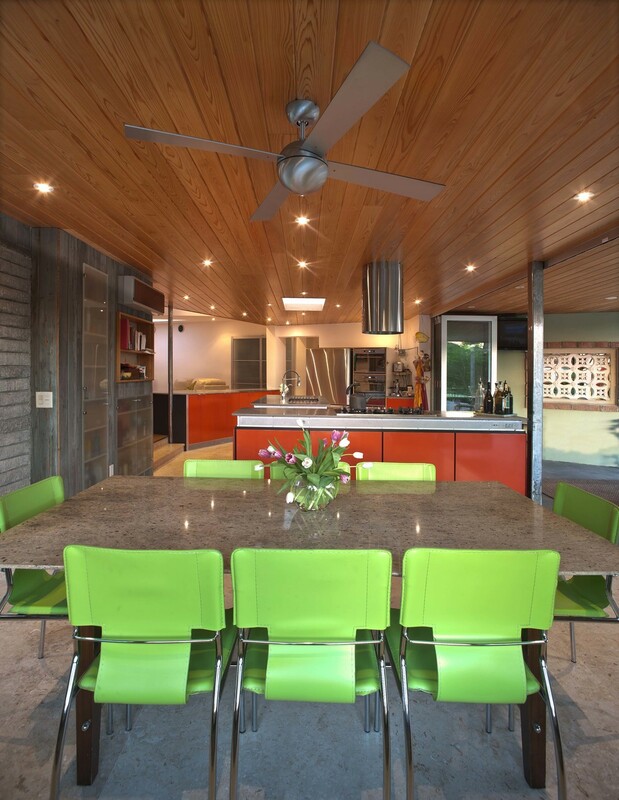 This mid century gem is located on the Hudson Bayou. A glass wall made of accordion doors was installed to enhance the inside/outside Florida living experience . 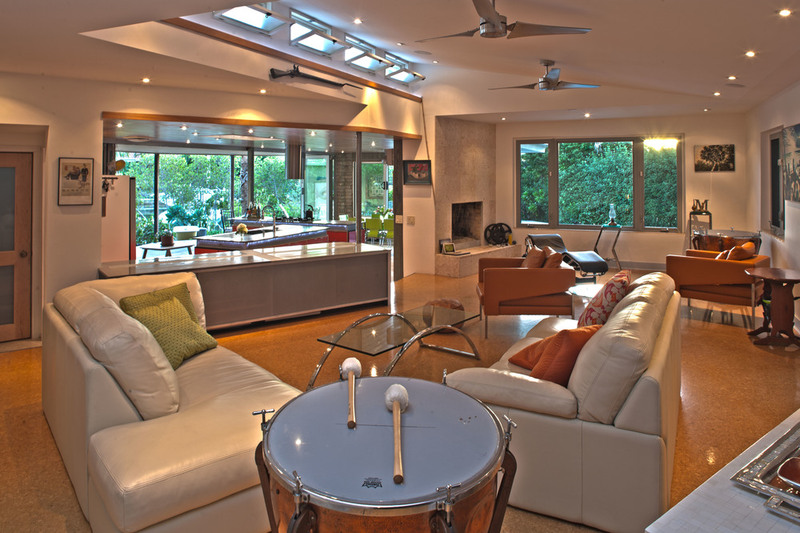 An open floor plan was created inviting daylight to come in. A new open plan custom kitchen was created and a bathroom was brought to the 21st century while keeping its design roots. Casement windows were installed to keep with the spirit of the house. New bathrooms were installed, the pool was refinished with custom mosaic work. Flooring has been updated with cork and Filipino shell stones and the original hardwood was restored to its original luster.